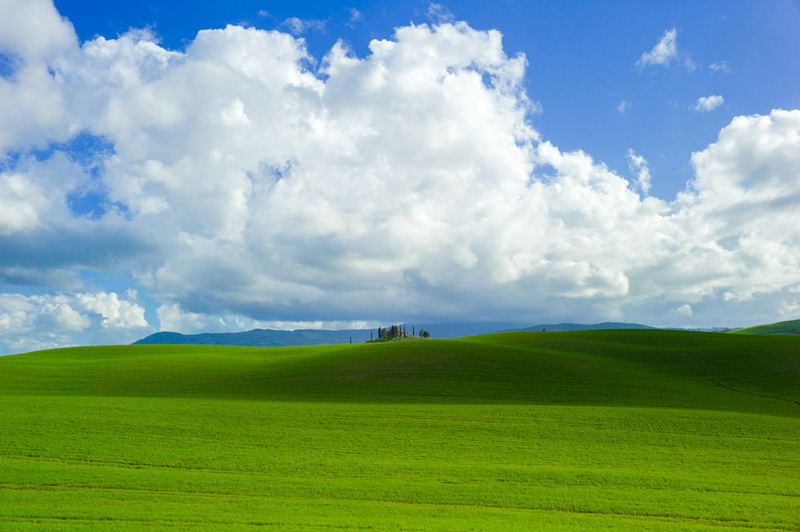 A homage to the Windows XP wallpaper image, this photograph was taken on the side of a road near Montepulciano on March 2013. Here’s a full-resolution version (5212×3468 pixels 8.5mb JPEG) that you can use personally, perhaps as your computer desktop’s wallpaper or a print for your or a good friend’s wall. If you do so, I appreciate it, but please do not feel you need to. Enjoy the photograph — it is what I photograph for!